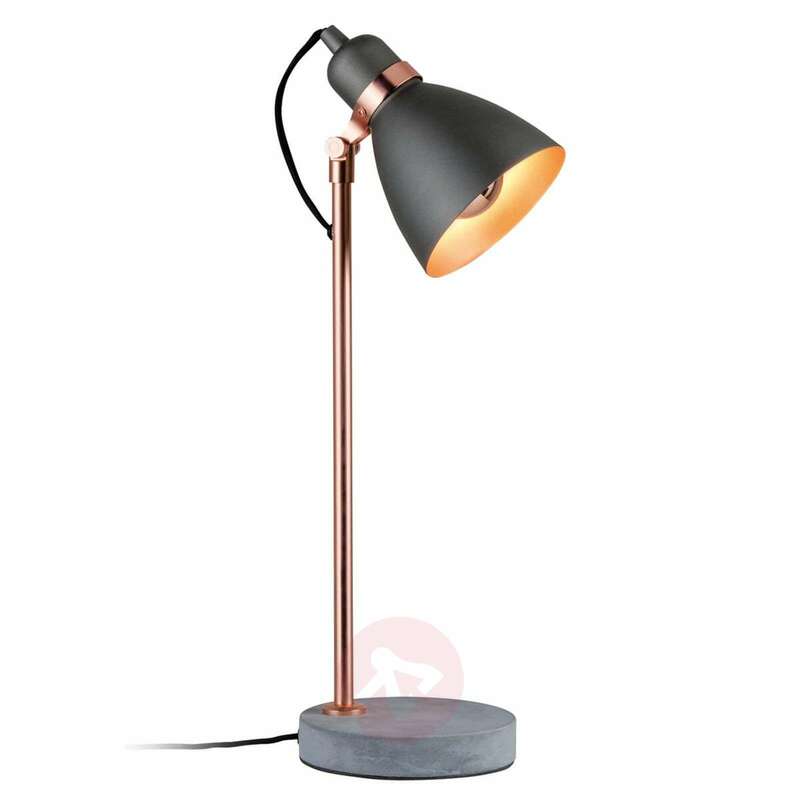 With the table lamp Orm, it isn’t about a simple table lamp, but much more about a decorative and stylish piece of furniture, which makes it particularly appealing in a modern living room. The adjustable lampshade allows a targeted illumination so that besides the inset for accent lighting, the light can also be used as a suitable desk lamp. 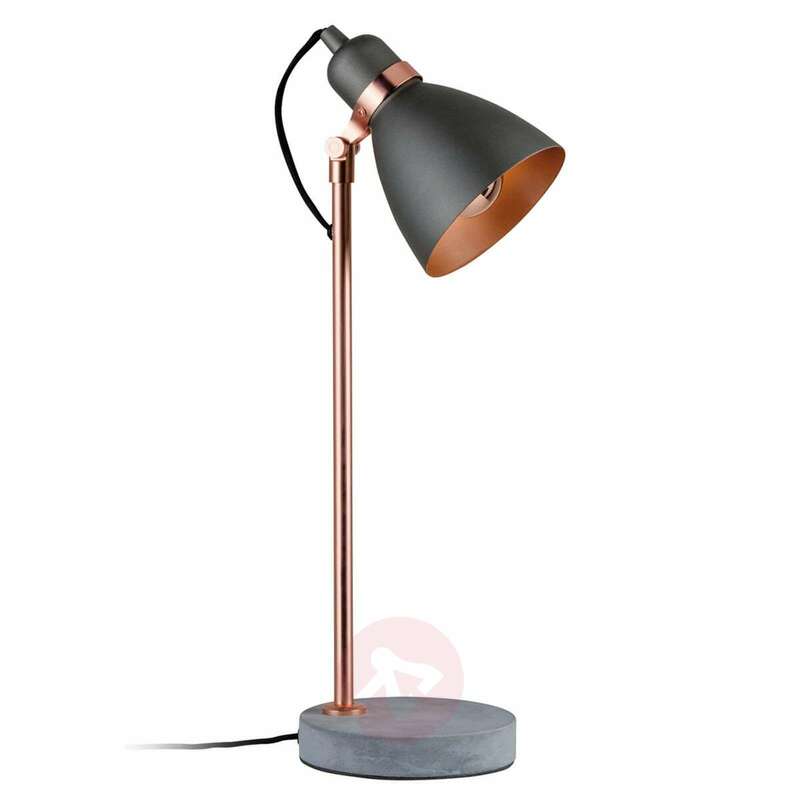 The body as well as the lampshade are made of metal and painted in two stylish colours, black and copper, whereas the base is made out of concrete and gives the design a special feel. With pull cord.